July’s crystal of the month is the incredibly rare Hackmanite. One of the most interesting things about Hackmanite is that it’s colour isn’t fixed. 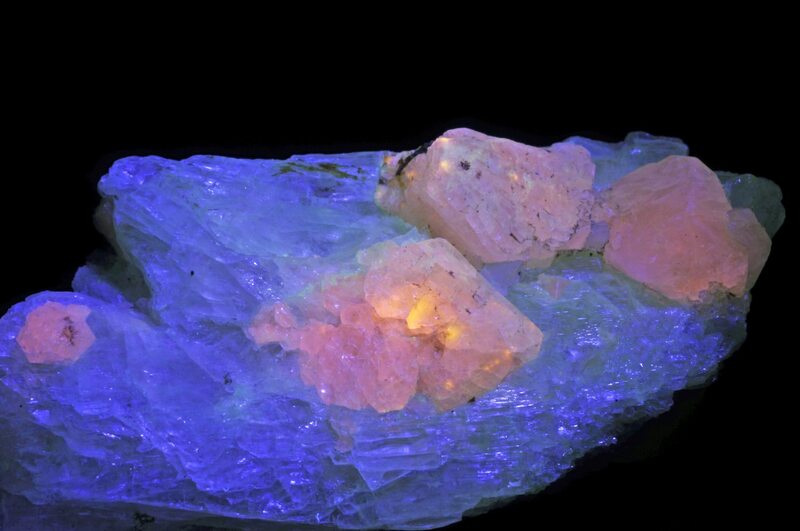 Exposure to sunlight actually changes the appearance of Hackmanite. When it is first mined, Hackmanite appears as a pale to deep violet colour, but as it is exposed to sunlight it changes to a grey or greenish-white. It’s pretty spectacular and the change can be seen within a few seconds of sunlight exposure. The colour shift can be reversed but takes much longer. If you’re interested in learning more about Hackmanite, here are a few things you can use it for. If you’d like to gain deeper insight to the spiritual world, either personally or just generally, Hackmanite can be used. Whether you use it during your meditation & healing practices, or you wear it as jewellery, Hackmanite can help soothe you emotionally, reducing stress and helping you achieve inner stillness. Lots of things can throw us off balance, spiritually. Work, current events, personal relationships – it can all contribute to our inner peace. If you’re feeling a little out of whack and want to get some balance back, try using Hackmanite. Most of us have trouble sleeping from time to time but if you’re going through a particularly rough period with your sleep then using a natural remedy might be the best thing. Hackmanite is a great crystal to use to sort out any sleep issues. You can meditate using the crystal before bed to lower blood pressure and soothe stress, and it’s handy to hang one over your bed to ensure a good night’s sleep is had. You might not see an immediate fix but rather a gradual shift into a more satisfying sleep pattern. Hackmanite’s frequency connects with the third eye and crown chakras which helps us to get in tune with our intuition, spirituality and perception. Using Hackmanite, we can balance and realign this specific chakras which in turn, can help us with our spiritual balance and connection, as mentioned above. Taking a Hackmanite crystal out into nature, and stargazing for example, can be a good activity to get your chakras working for you again.